Sending anything between Australia and Ireland has never been easier, thanks to PACK & SEND’s unrivalled range of quality, affordable shipping services. Our ‘No Limits’ philosophy to freight means that no matter what you’re sending or when you need it there, we’ll pull out all the stops to meet your needs. Our team of experts can do it all – packing, pro-active tracking, expert advice and a can-do attitude are what sets PACK & SEND apart from the competition. Imports and exports between Ireland and Australia are a breeze with PACK & SEND. We don’t just deliver to the door in Dublin, Cork, Limerick or Galway - we cover every wee town and village too! Get a quote or speak with your local team of specialist consultants today and see for yourself why PACK & SEND are Australia’s #1 rated transport company for courier, freight and shipping services! Sydney, Inner West: ... choice for eBay packing, posting, courier and shipping services.Computers and electronic ... promptly. I highly recommend your company, who I have used previously. 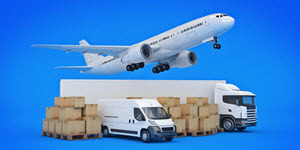 Melbourne, East: ... choice for eBay packing, posting, courier and shipping services.Computers and electronic ... to arrange for a different company to deliver it.